Ford CEO Mark Fields has been moving the automaker into ventures outside of its normal core business of selling cars for a few years now. 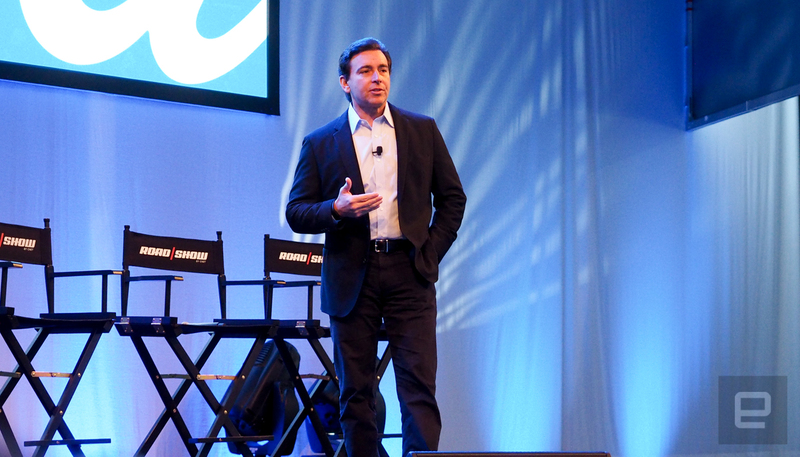 His LA Auto Show keynote touched on the company's current undertakings and future plans. Engadget sat down to talk with Fields about the automaker's post-car-ownership road map, its partnerships with public transportation and the company's plan to bring autonomous taxis to the market in 2021. Tell me about your plan to transport people without them driving their own cars. You guys are moving quickly in this space -- like really quickly. I think for an automaker like Ford, that's a huge change in such a short amount of time. Is it something you felt like you had to do or something that you wanted to do? I think it's a combination of both. And I think it first starts with taking a point of view on the future. For a lot of businesses, the future is just a five-year business plan and every year you just add another year to that plan. Our approach has been to take a point of view on what we think the world is going to look like in the next 10 to 15 years. Part of developing that point of view on the world is looking at societal trends, looking at consumer preferences, looking at things like what's happening with the growth of big cities around the world. The issue of air pollution and air quality. Then developing a strategy in that world in terms of where we want to play and how we want to win, rewind back to today and make some strategic choices. I think about half the world's population lives in cities. Our view, and others', is by the next 15 years that could be literally two-thirds of the population. So that will mean more congestion. The infrastructure is not going to be able to handle that. That's a threat to our business and one of our motivations. What we need to do now is to first adjust to that and, secondly, view that as an opportunity. Particularly along the lines of stepping back and looking at the transportation system. Then where do we want to play within that and, importantly, talking to cities to understand what problems they want to solve. And how can we bring assets and business models in that maybe weren't natural but are a natural extension of Ford? How is that conversation Ford is having with municipalities? Are they surprised that Ford is talking to them? They're very surprised that an automaker is talking this way. Part of what we tell them is we're on this transition to be an auto and a mobility company. What we've learned is when you talk to a lot of mayors about what they're facing, they face this problem of they want more capacity for mobility in the cities. I think that more and more people are coming in. At the same time, they want less congestion and they want less pollution. So they're looking for partnerships and partners to come and help solve that for them. That's kind of how we're thinking about this. At the end of the day, you have to have a customer. For us, it's not just about going into a city and just doing business within their boundaries. We want to work with them and make this a win-win. Help them solve their mobility problems but also at the same time open up new growth opportunities for Ford. Is there a plan to be more integrated into public transportation? I think what we are thinking about is the transportation system. I think what's really going to be important going forward, particularly for cities, is how do all these pieces fit together? How do they communicate to one another? You know, a great example is, how about a future where, when a Caltrain comes into the station, it's already communicated with our Chariot shuttles to be there so that when folks come off they can go the last mile. It's all ready to go. That integration, I think, is going to be very important to cities. That's how we're thinking about engaging cities. You know, we have this advantage. We have a relationship with many, many different cities around the globe because of our core products (police and emergency vehicles). We have those relationships. How do we work with them to help solve some of these problems that they're trying to solve? Talk a little bit about the infrastructure and communication of smarter cities. Is this something that you guys are looking into? The car-to-car communications, the car-to-infrastructure communication -- is that something that Ford is also investigating? Yeah, we're working on that. I do think that we have to be very realistic. Vehicle-to-infrastructure is assuming there's an infrastructure there. Yeah. There's an infrastructure along, like, two strips in Las Vegas right now. Yeah. I think we're quite a ways from there, but clearly we're working on vehicle-to-vehicle and vehicle-to-infrastructure. Our overall approach, particularly on autonomous vehicles, is not to rely on vehicle-to-vehicle and vehicle-to-infrastructure. We want the vehicle to be self-aware in its environment. Therefore, a lot more processing power is going to be required on vehicles and that's why we're using LIDAR systems, cameras, radars and other sensors. Ford just seems very aggressive. You announced autonomous ridesharing is coming in 2021. And everyone else is like "Yeah, we have it, it's coming." You've drawn the line in the sand. If you make that public proclamation, then everyone's like, OK, we have to do this. And they're all excited about it. Plus, when you think about the talent necessary -- the talent that we need to add to our company to complement the talent we have -- people want to work to make their dent in the universe. They want to work on projects that matter. We've been very pleased with the talent we've been able to attract to our company based upon not only who we are but what we intend to do. Infrastructure, cars and bicycles. It seems very odd that Ford would get into bicycles. It's not about "Well, Ford's in the bicycle business." That's not the point. The point is these bicycles will have GPS systems on them and are feeding us data. We will be able to understand not only how traffic moves in a city but also how these bicycles are used. Then, more importantly, to your point around integration, how do we use this to help integrate into our shuttle service? That's what we're really looking at. People using different modes of transportation to get from point A to point B. How do we enable that? And at the same time make a good business model of it? 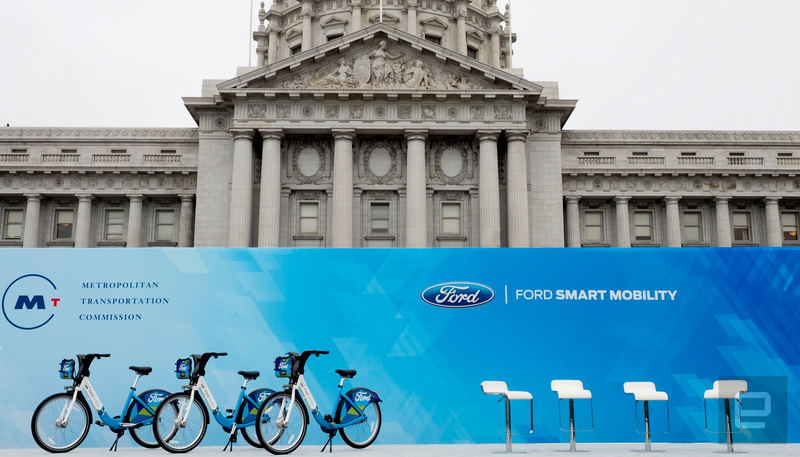 Five years ago, did you think that Ford would be "OK, we're doing mobility, we're going to start talking about last mile"? I think five years ago we were obviously working on the core business coming out of the Great Recession, working on our traditional business. At the same time it's this process that we have of always looking at the business environment and understanding what it means for our future. This mind shift around going from owning to owning-and-sharing has been very enlightening for us. Then, on top of it, a lot of us have lived in big cities around the world, and, you know, there's more cars and the same amount of streets.